My name is Cheryl, and I’m writing you today, because my husband, Larry D. Kump, is running for the West Virginia House of Delegates, right here in District #59 (Berkeley-Morgan counties). I know, making a decision about who to vote for in any election really can be tough. It can be hard to get to the real truth about the candidates. So I’m writing to introduce my husband, Larry D. Kump, to you, on a much more personal level. From our first conversation, prior to our marriage, I immediately knew that Larry was my soul-mate. He's God’s answer to my prayers. His entire life has been dedicated to public service, including his previous service as a West Virginia citizen legislator in the West Virginia House of Delegates (2010-2014). Larry is a gentle leader who works to influence rather than demand. He treats me with tremendous respect, and his sense of humor never fails to crack me up. Despite all the demands on his time, Larry always makes sure that I am his top priority. Even so, Larry works hard to fight for his core principles, and you always can count on him to keep his word. His personal ethics of integrity, transparency, and accountability are a true reflection of his heart and soul. There truly is not a more beautiful place on earth to live than West Virginia, and Larry and I are both dedicated to making it better. But the fact is, many are still facing hard times, and that impacts every single one of us. With more and more big-government tax-and-spend policies and intrusions into the lives of us and our families, too many of us still are struggling to make ends meet and keep our independence. That’s why Larry is pushing so hard to grow jobs, fight excessive government control over our lives, bring us tax relief, protect our 2nd Amendment and other Constitutional rights, and bring us all into better tomorrow. Larry wants our next generation of West Virginians to inherit a vibrant and strong economy – so that none of us (and especially our children) have to leave to find work in another state. I know my husband Larry's heart. He stands up and speaks out on his convictions. Larry will be a staunch defender of both life and family. That’s the kind of commitment I know I can count on from Larry, and that’s the kind of commitment that you also can expect from him. 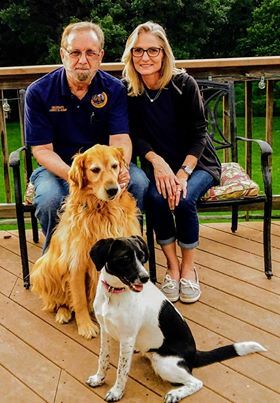 So, please join me in supporting my husband Larry D. Kump in the upcoming November 6th election. P. S.: Remember and please vote for Larry D. Kump on Tuesday, November 6th (or use the “early voting” option at the county election office, which begins on Wednesday, October 24th). And, as Larry always says, “May God bless you all real good!”. 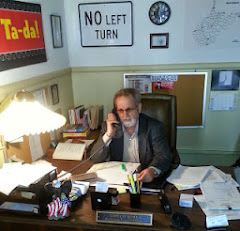 Footnote: For more about my husband Larry D. Kump and the issues, visit www.LarryKump.us and www.LarryKump.com. Please share this note with others, and ask them to go and do likewise! Kump again returns to public service! What about Automated Camera Traffic Fines? This Jones boy likes Larry!